You too could be the proud owner of your very own Bite Rewards Card – it’s FREE for a digital version and just £2.50 for a physical card – which can be found at these retailers. 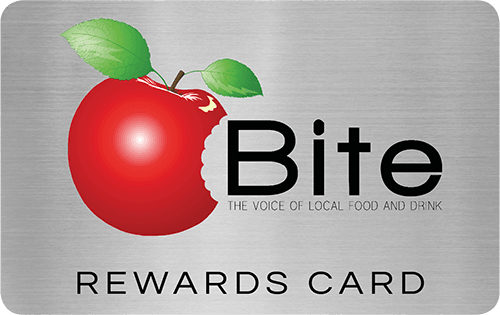 The Bite Network Rewards Card will give you instant access to dozens of exclusive local food and drink offers and discounts at some of the best retailers, eateries, experiences and events throughout the North West, and beyond! Your card can be used at any of the participating local food and drink outlets you’ll find listed in our local food and drink directory, each one offering you their own exclusive rewards! Simple and FREE to register! Download the app (iOS or Android) to your phone, using one of the links below. Instantly register for your digital rewards card using the button below. Show your card at any of our authorised ‘Rewards Card’ outlets and start collecting points. Redeem your points at the associated outlets to claim your exclusive rewards. Make sure you’ve registered to receive our regular newsletters and keep a look out for announcements of new and exclusive offers. As well as the opportunity to be part of our unique local food and drink loyalty programme, the Bite Network gives you access to many other benefits. From a FREE listing for your business in our local food and drink directory to bespoke one-off services, the Bite Network has numerous solutions all there to help your business flourish!